Today’s guest is someone I deeply admire for her creative and free spirited approach to life and business. Amber Rae is an author, artist and a speaker whose work invites you to live your truth, befriend your emotions and express your talents to the world in a bigger way. Her writing blends raw, personal storytelling with actionable “a-ha” moments and has reached more than 5 million people in 195 countries. Amber’s public art has spread to more than 20 countries and she has spoken at and collaborated with brands like Kate Spade, Apple and Amazon. In today’s episode we’re talking about some of the important lessons from her new book, Choose Wonder Over Worry. Amber opens up about her past relationships, her career and her desire to always achieve more, and she shares how this mentality never really seemed to bring her joy. She also gives special techniques that help her transcend her fears, feel more happy and not get so caught up in worry and anxious thoughts. If you are ready to transform your life, embrace your emotions and infuse more creativity into every day, then this episode is for you. I have some very special announcements to make! This podcast is a year old now, and to celebrate you have a chance to win amazing prizes such as a $100 Amazon gift car, a custom journal, Brain Dust (the super blend that I swear by!) and some bestselling books from past guests of Pursuit With Purpose, like Mark Manson, Nataly Kogan and Mastin Kipp. To enter all you have to do is go to iTunes, search for Pursuit With Purpose under “Podcasts”, and then subscribe to the show and leave a review (make sure to put your Instagram handle in your review so we can reach out to you if you’re a winner). This amazing giveaway is open until June 29th, 2018, so head over to iTunes right away and enter! But wait – I have more big news for you. We are launching a free Facebook group for listeners of the podcast, because community is so important in life. 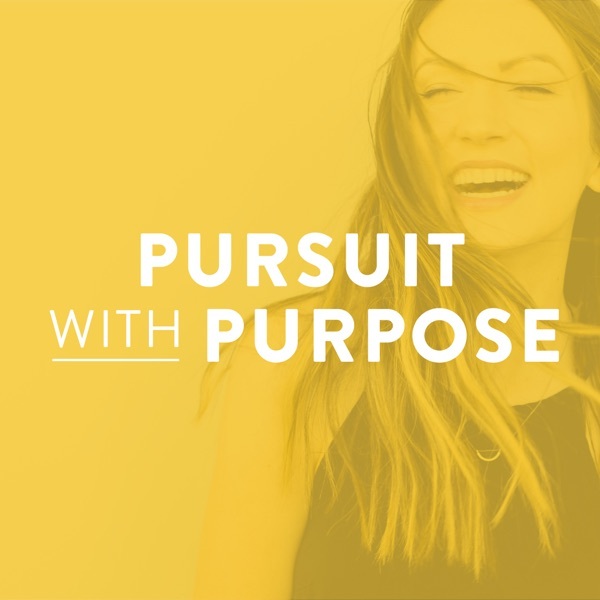 To join, head over to http://pursuitwithpurpose.com/community, where we’ll be diving deeper into each episode and I’ll be hosting Facebook Live classes to share more of the behind-the-scenes of the podcast, and much more. We’re also planning to host in-person meet ups for listeners around the world, and I can wait to meet you. If this episode resonated with you, it would make my day if you could take a screenshot of you listening on your device. Post it on your Instagram feed or stories, and tag me, @melyssa_griffin, and let me know how helped you. Knowing that people like you are listening to this podcast is honestly what keeps this show going! Hey Everyday World Changers! If you have ever felt burnt out from work or life, and you’re unsure of how to get your creativity and joy back, then this episode is for you. Today I’m chatting with YouTube sensation Sunny Lenarduzzi, who built a massively successful 7-figure business and an audience of hundreds of thousands of people. As you’ll hear, what a lot of people don’t tell you about success, and what we’re digging deep in today, is that achieving some kind of success in any area of life can lead to more pressure, more anxiety and a whole lot of fear. What happens when you combine all of these things together? It can lead to burnout and a total lack of creativity, and in Sunny’s case, an anxiety attack that put her in the hospital. If something you once loved doing now feels like a chore and you’re struggling to get your mojo back, then you’ll want to hear what Sunny has to say in this episode. She is extremely open about her struggles and triumphs, and you will enjoy the fun, free flowing conversation that we have about success, burnout and what it really takes to create a purpose-driven and joyful life. I especially love the activity that Sunny shares with us at the very end of the episode, which I know will help you feel even more fulfilled and proud of yourself for the work that you do every single day. If this episode resonated with you, it would make my day if you could take a screenshot of you listening on your device. Post it on your Instagram feed or stories, and tag me, @melyssa_griffin, and let me know how helped you. Knowing that people like you are listening to this podcast is honestly what keeps this show going! Ever notice how sometimes the biggest lessons we learn in life come from the most unexpected places? Well today I'll be sharing an important lesson I learned from honey bees. Hey Everyday World Changers! Today’s guest, Leesa Renee Hall, is quite literally one of my favorite people. She’s the kind of woman who is unapologetically herself and says what’s on her mind and her heart, even if she knows that some people may get rubbed in the wrong way. As a recovering “nice girl” myself, this is something that I’ve been working on bringing into my life more too, and I’m just so inspired by how Leesa shows up in the world. We dig really deep here, and in this conversation we talk about a unique writing practice that Leesa teaches and says is one of the best things she’s ever done for developing more self-awareness, discovering who she truly is deep down and embodying more of herself in everything she does. She knows a thing or two about writing and vulnerability, because she is the author of 7 (almost 8!) books, and more recently, has turned her attention to writing about the intersection of race, spirituality and leadership. In this discussion she’ll help you dissect your own identity in a really meaningful way, so that you can truly see who it is you’re being in order to become who you’re really meant to be. If this episode resonated with you, it would make my day if you could take a screenshot of you listening on your device. Post it on your Instagram feed or stories, and tag me, @melyssa_griffin, and let me know how helped you. Knowing that people like you are listening to this podcast is honestly what keeps this show going! Friends, I am so excited to bring you this very first short solo episode of the podcast (and I'll be sharing more with you). In this episode I'm getting personal and giving you a life update and behind-the-scenes sneak peek into my 2018...so far! Today’s guest is someone I deeply admire for her creative and free spirited approach to life and business. Amber Rae is an author, artist and a speaker whose work invites you to live your truth, befriend your emotions and express your talents to the world in a bigger way. Her writing blends raw, personal storytelling with actionable “a-ha” moments and has reached more than 5 million people in 195 countries. Amber’s public art has spread to more than 20 countries and she has spoken at and collaborated with brands like Kate Spade, Apple and Amazon. In today’s episode we’re talking about some of the important lessons from her new book, Choose Wonder Over Worry. Amber opens up about her past relationships, her career and her desire to always achieve more, and she shares how this mentality never really seemed to bring her joy. She also gives special techniques that help her transcend her fears, feel more happy and not get so caught up in worry and anxious thoughts. If you are ready to transform your life, embrace your emotions and infuse more creativity into every day, then this episode is for you. I have some very special announcements to make! This podcast is a year old now, and to celebrate you have a chance to win amazing prizes such as a $100 Amazon gift car, a custom journal, Brain Dust (the super blend that I swear by!) and some bestselling books from past guests of Pursuit With Purpose, like Mark Manson, Nataly Kogan and Mastin Kipp. To enter all you have to do is go to iTunes, search for Pursuit With Purpose under “Podcasts”, and then subscribe to the show and leave a review (make sure to put your Instagram handle in your review so we can reach out to you if you’re a winner). This amazing giveaway is open until June 29th, 2018, so head over to iTunes right away and enter! But wait – I have more big news for you. We are launching a free Facebook group for listeners of the podcast, because community is so important in life. 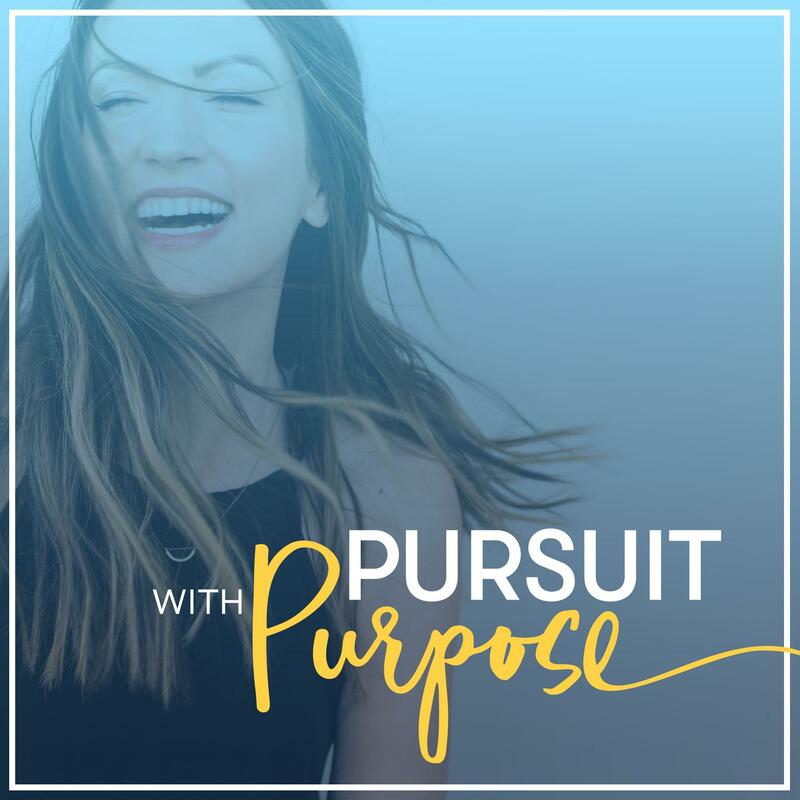 To join, head over to http://pursuitwithpurpose.com/community, where we’ll be diving deeper into each episode and I’ll be hosting Facebook Live classes to share more of the behind-the-scenes of the podcast, and much more. We’re also planning to host in-person meet ups for listeners around the world, and I can wait to meet you. If this episode resonated with you, it would make my day if you could take a screenshot of you listening on your device. Post it on your Instagram feed or stories, and tag me, @melyssa_griffin, and let me know how helped you. Knowing that people like you are listening to this podcast is honestly what keeps this show going! When I started learning about meditation a couple of years ago, today’s guest was a name I kept hearing over, and over, and over again. Sharon Salzberg is one of the most prominent figures in the field on meditation and a world-renowned teacher, as well as a New York Times bestselling author with 10 books. Sharon has played a crucial role in bringing mediation and mindfulness practices to the West and into mainstream culture since 1974. My favorite thing about Sharon is her focus on love, and how meditation can help us love more deeply and more often for both ourselves and everyone else in our lives. In this interview we talk about Sharon’s traumatic past, which led her to look for tools to help her heal and eventually led her to mediation. We also talk about what mindfulness even is and why most people who think they’re bad at mediation are wrong. Of course, she shares how to do it the right way and if you stick around until the end of this episode, you’ll even get to hear Sharon lead us in an exclusive loving-kindness meditation. This will add more peace, joy and love to your day – in a matter of just minutes. If this episode resonated with you, it would make my day if you could take a screenshot of you listening on your device. Post it on your Instagram feed or stories, and tag me, @melyssa_griffin, and let me know how helped you. Knowing that people like you are listening to this podcast is honestly what keeps this show going! Hello Everyday World Changers! I’m grateful to introduce you to today’s guest, Mastin Kipp. You might know Mastin from The Daily Love, which was his popular website and email subscription that he used to operate. It’s how I discovered him years ago and I’ve always looked up to him because of it. Mastin is now a best-selling author, renowned public speaker and the creator of Functional Life Coaching, which is an innovative, unique and accelerated approach to creating lasting personal and business change. He’s been recognized by leaders like Oprah Winfrey, Tony Robbins and Arianna Huffington as a thought leader in personal development. Mastin’s latest book, Claim Your Power, is a 40-day journey to unlocking your life’s purpose, healing yourself from the inside-out and becoming who you were truly meant to me. In this interview Mastin is talking about something that as he says, he’s never discussed really anywhere else before. He shares his method for healing the trauma you’ve experienced in your life, whether it is big or small. He’s got tactical tips for both your mindset and your physical health that are going to help you to heal that trauma so you can live your best, happiest and most transformational life - right this very second. He also shares his story about hitting “rock bottom”, becoming addicted to drugs and how he was able to pull himself out of his lowest point to create a transformational brand that has helped millions. I am so excited to share this episode with guest Nataly Kogan. Nataly is the founder and CEO of Happier, which is a global learning platform and app that has helped more than one million people live happier lives. Her work has been featured in hundreds of media outlets including The New York Times, The Wall Street Journal, Tedx Boston and more. Today she is sharing some of the top tips from her latest book, Happier Now. Nataly really brings it here and she’s got the knowledge, the stories and the attitude to really help you make a transformation in your life! This episode inspired me deeply. I love the charisma and realistic outlook that Nataly brings to this conversation. Not to mention, she shares tons of practical tips and advice for anyone who wants to live their happiest life, right now. You’ll also hear about how she came to the US as a refugee from the Soviet Union and ended up building an incredibly successful business, but it ended up being unfulfilling to her. Now she focuses more on finding joy and purpose in her life instead of chasing achievements. Can you relate to that? I know I sure can as I’ve totally been there too. This is one of my favorite episodes to date, and if you enjoyed it too and got something out of it, I would be so happy if you could take a screenshot of you listening to it on your device. Post it on your Instagram feed or stories, and tag me, @melyssa_griffin, and let me know how it’s resonated and helped you in your life! Although I am an entrepreneur and I do some business coaching, I didn’t want this podcast to be about giving you tons of business advice. If you know my story, which I share more of in Episode 1, then you know how I’m a big proponent of prioritizing your personal growth and happiness first and that money and status will never be enough. So you know that when I bring an entrepreneur on the show, he or she is a big deal to me. Today’s guest, James Schramko, is that kind of person. James is an online business coach who’s helped over 2,000 of his students create and maintain 6, 7 and 8-figure businesses and before running his own company, he gave up a multiple 6-figure income to strike out on his own. James is all about creating a business that supports the lifestyle that he wants to live, instead of working himself into the ground to make more money. He’s found ways to automate his income and create recurring income streams so that he now has more time to do whatever he wants. In this episode James shares how he exited his corporate career and the way he was able to build his business while working a full-time job (while having a family of several kids)! He’s literally been able to build a company around the mentality, “Work Less, Make More.” If finding balance is important to you, then you’ll want to listen to this conversation with James Schramko. Today’s guest has many different titles: conscious entrepreneur, speaker, philanthropist and author. Inc. Magazine has even labelled her as one of the “Top 10 Female Entrepreneurs Changing the World.” As a 20-something millionaire, her personal mission is to mobilize the next generation of conscious changemakers. It wasn't too long ago that today’s guest, Peta Kelly, was working on her PhD in Science. Despite the incredible level of academic success she had achieved, her soul was just tugging her along to the next part of her journey – entrepreneurship. After creating a 7-figure income for herself in her early 20’s, Peta become fascinated with re-writing economic rules. Her desire is to circulate wealth and give back in a meaningful way, and her new book, Earth is Hiring, is about the new way to live, lead, earn and give consciously. In this interview we talk about some of the concepts from her book, like the lessons Mother Nature can teach us, how to get into alignment with our soul’s mission and how to honor our spiritual path. If you listen to the episode and you just love this woman, then make sure to check out her book tour, which is happening very soon! Peta will be in LA on May 19th, New York City on June 9th and London on June 16th. A few months ago someone on my team sent me a message saying that she had just read an absolutely amazing book called Playing Big, by a woman named Tara Mohr. Now I had never heard of Tara, but I’m always looking for new book suggestions, so I went straight to Amazon to purchase her book. Not only is it well-written and eloquent, but it is fascinating and empowering, like the author knew exactly how I was holding myself back and what I needed to do to get rid of my limiting beliefs and play bigger in life. Tara Mohr is an expert on women’s leadership and well-being, as well as being an author, educator and certified coach. Her book Playing Big was named a “Best Book of the Year” by Apple iBooks. Tara is also the creator of the Playing Big Leadership Program for Women, and her work has been featured on The Today Show and in publications such as The New York Times. She’s worked with major corporations like Google and Starbucks on leadership initiatives and her Playing Big concepts have also been incorporated into middle and high schools in the United States and United Kingdom to support girl’s leadership development. During the episode we talk about things like how to access your wisest inner mentor, the ways that journaling can help you become your biggest self, how to update your beliefs so criticism just bounces right off of you, and so much more. When I first met today’s guest Lori Harder, I never thought that she had struggled to find real friends in her life. That’s because on the outside, Lori’s life is about a perfect as they come. She has a massively successful fitness and personal development business, she sells out her 500-person conference every year and she lives in a gorgeous house in Santa Monica. Lori also has a great husband who I also know (and was a past guest on this podcast). To top it off, she basically looks like a supermodel! So it’s easy to peg Lori as someone who hasn’t struggled a day in her life, but as a listener of this podcast you already know that’s never the truth. I am so grateful for friends like Lori; people who grow up in abusive households and who felt like they never fit in, spending much of their lives feeling worthless and unloveable. These are the people who have transformed their pain into something beautiful and are now on a mission to heal others from their pain too. In this interview, Lori and I chat about what it was like for her growing up feeling misunderstood for the first few decades of her life. We also dive into the concepts behind her new book, A Tribe Called Bliss, which is all about finding and creating a deeply connected circle of friends. I love Lori’s surprising advice when it comes to relationship building, and I always appreciated her transparency, wisdom and humor. About a year ago, today’s guest James Wedmore and I decided to meet for lunch. To be honest, I didn’t know a ton about him at the time, and I just knew that he had a popular mastermind group for entrepreneurs as well as a really successful online business. I expected our conversation to revolve around things like the latest business strategies and tactics, but as soon as we sat down it was clear to me that James was so much more than a business coach. For the next two or three hours we talked about personal development, spirituality and the crazy stories that had taught us something in our lives. Not to mention, James was funny and relatable, and he brings all of that to this fun and unique interview. We talk about upcoming business trends and predictions and well as his first real business, but we also dive into his personal journey with spirituality. James shares about how he shifted his brand to talk less about marketing and more about mindset. He combines self-help with business strategy in a way that’s seamless, and in my opinion, necessary. We both truly believe that if you want to create an incredible business and life, you need to master your inner game first. I’m super excited to welcome my friend Sarah Keller to the podcast. As you’ll hear, Sarah has a really interesting story because for a decade she was a senior director at Lululemon, helping grow it from a small company with a few stores into a massive multi-million dollar empire. During the quick escalation to this success, Sarah suffered serious stress-related issues, which led to her changing the way she works and lives. This is coming from a very hustle-minded woman who loved to work and was constantly flying around the world. Sarah didn’t know how to stop, but she knew she had to. Eventually she decided to strike out on her own as an entrepreneur and now she coaches women on how they can own their own power and become world-class leaders. In this interview, we talk about a landmark research study her company is doing to learn more about how some women become what Sarah refers to as “indestructible leaders”, and what we can learn from them. This interview is packed with important ideas that are helpful for anyone, man or woman alike, who want to become a stronger leader, have better health and work-life balance. Sarah’s story is one that really inspires me deeply to become a better leader myself and to live with more purpose (and to think bigger than I already am). I have to tell you, right after I recorded today’s interview with Dr. Michael Gervais, I immediately texted my boyfriend to say that I just did one of my most favorite interviews for my podcast – ever. This episode that you’re about to listen to is just that good. That’s because Dr. Michael Gervais is a high performance psychologist with over 20 years experience working in really high stakes environments, with some of the top athletes, musicians, artist and executives in the world. He’s also appeared on Tim Ferriss’ Fearless and has been featured in places like the New York Times, The Wall Street Journal, CNN and many other outlets. Michael also has a podcast called Finding Mastery, where he’s interviewed top guests like best selling author Ryan Holiday and the LA Lakers Head Coach Luke Walton. Ultimately Michael’s mission is to discover the mindset skills of the world’s best, in order to change our perspective of what’s possible in our own lives. In this interview he definitely delivers on that promise. You’ll learn things like the common challenges that all high performers face and why most people struggle to reach their full potential in life. I got so much personally out of this interview, and I know that you are going to as well. I am so unbelievably thrilled to share today’s guest, (who’s a dear friend of mine), Jenna Kutcher. I first discovered Jenna on Instagram, and I was instantly touched by her authenticity. Now we’re in a mastermind together so I’ve gotten to know her a lot more. Jenna started out as a wedding photographer and she became one of the most sought after in the world. Now she focuses primarily on her online courses and her podcast, which teach women how to do business. Something that I love about Jenna is that she’s a leader in the body positive and self-love movement, and she brings daily empowerment to her 500,000 Instagram followers. In fact one of her posts recently went viral, where she talks about the insecurity that she felt as a curvy woman being married to (as she calls him), “Mr. Six-Pack.” Now this episode was recorded before her post went viral, but trust that we dig deep into what it means to love yourself and your body. Jenna shares how she and her husband have built such a successful marriage and what it feels like to go through a miscarriage in the public eye. Since Jenna is business-savvy too, we also discuss how she’s grown her platform, how she manages her time and also some of her favorite business strategies. This interview made me laugh, tear up and ultimately feel empowered to be and do exactly what I want. I have a feeling that it’s going to do the same for you too! I spent a long time watching and admiring today’s guest, Emily Thompson, from afar. You probably know her from her incredibly popular podcast and brand that she co-leads, called Being Boss. What I love about Emily is that she’s able to combine practical business skills with a sense of spirituality and femininity. Emily is the founder of Indie Shopograhy, where she helps creative entrepreneurs run online businesses. She also co-hosts the Being Boss podcast for creative entrepreneurs, which has over 3 million downloads! Due to the success of her podcast, she recently co-wrote her first book, Being Boss: Take Control of Your Work and Live Life on Your Own Terms. During today’s episode, we dive really deep into what you can find inside of Emily’s book, including her magical way of setting goals. She also talks about the transformative daily routines that she uses in her life and what it really looks like to live life on your own terms – and how to make it happen! I had the honor of meeting today’s guest at an event in New York, and I was so blown away by her loving presence and the exercises she had us do to help us feel more connected to ourselves and to quiet our self-doubt and inner criticism. Geneen Roth is the author of Women Food and Good, which spent 34 weeks on the New York Times Best Seller list, with 18 of those weeks at number one! She’s authored 9 other books, taught workshops with thousands of people and has appeared on The Oprah Winfrey Show, 20/20, The Today Show, Good Morning America and The View. In this episode we talk about how she came up with her latest book, This Messy Magnificent Life. After years of teaching workshops on weight, food and money, Geneen realized there was a connection between those issues and she knew a way to solve them all together. Out of her own past struggles with feeling as if she would never fit into her own skin, much less into the world around her, Geneen tackles how we can move beyond our pasts and build a life that reflects who we really are. Geneen has decades of wisdom to share, which is perfect for anyone who wants to shed whatever is holding them back and step into who they are truly meant to be. On the introversion-extroversion scale, I feel like I fall somewhere in the middle of the two options. I use to naively think being an introvert as an entrepreneur would hold me back, and I felt being an extrovert like the many business owners I was seeing was necessary if I wanted to succeed. Enter my friend, Selena Soo. She completely flipped that fear-based thought on its head for me and with her quiet power and sensitivity, she’s been able to create a 7-figure business and is on a quest to impact millions of people. Selena is a publicity and marketing strategist for visionary entrepreneurs, experts and authors who want to reach millions with their message. She’s helped clients and students get featured in places like O, Forbes and Inc., and on popular podcasts and national television. Many of her clients have become industry leaders with 7-figure businesses, raving fan bases and hundreds of thousands of followers! I’ve worked with Selena personally and she is absolutely incredible at connection with people and helping her clients. Her signature approach comes down to building powerful and long-lasting relationships with influencers and the media in a thoughtful and authentic way. That, in my eyes is the key to Selena’s success. Whether you are an introvert or an extrovert, she’ll show you how to use your unique personality and talents as a superpower to get more publicity for your message, more connections in your industry and more power to impact millions of people! I feel like a lot of us go through those pre teen years where we just feel unattractive and awkward, and I was no stranger to feeling like an ugly duckling myself. Meanwhile, my idols were people like Hilary Duff and Britney Spears, beautiful women who looked nothing like me. Around that time when I was in junior high school, my mom bought me a book that was all about natural beauty. It was written by today’s guest, Bobbi Brown, and I didn’t realize it then but that book was a catalyst that helped me see myself in a whole new light. It celebrated diverse forms of beauty that I had yet to see in the media. Bobbi Brown is still prolific in the beauty industry, and you’ve probably heard of her makeup company, Bobbi Brown Cosmetics. The company was purchased by Estee Lauder in the 1990s, and she served as Chief Creative Officer there for more than 20 years. Now she has moved on to start an all natural supplement brand called Beauty Evolution, as well JustBobbi.com, an editorial and lifestyle platform. Bobbi has been a pioneer in the natural beauty space with a motto that says, “the secret to beauty is simple: be who you are.” During our inspiring conversation, Bobbi and I chat about what it was like to create a brand that emphasized natural beauty in the late 80s, when the most popular beauty trends involved big, bold and unnatural makeup. We also talk about what it was like to go from being a makeup artist to running an enormous global brand, as well as the decisions she made that helped to set her company apart from all the other beauty brands out there. Whether you’re a makeup fanatic, a champion for helping people feel comfortable in their skin, or an entrepreneur looking for tips from a super-savvy business woman, this interview is for you!